The Tales Of Tori: Nauvoo Reunion! 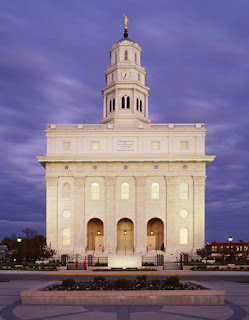 In the fall of 2005 I participated in a semester at BYU-Nauvoo! The things I felt and learned there changed my life! Honestly, I would recommend the experience to everyone! They sadly had to close the program down in 2006 to tear down the Joseph Smith Academy :( I have heard rumors that they are going to construct a new building and start the progam up again.... I'm crossing my fingers that they follow through with it! This weekend we FINALLY had a Nauvoo reunion! It was great to see old friends and catch up with everyone and their lives! It was so nice to be reunited with our little Nauvoo family again. People travelled so far just to be there! We need to do it more often! I hold such a special place in my heart for Nauvoo and am so grateful I was lucky enough to have had this experience! I can't say enough about it! It was such a defining time of my life, and I owe so much to this experience! I love you Nauvoo and fellow Nauvoo-ians! :) Smooch! hello! how could i ever forget you silly girl! it looks like you guys had fun at the reunion! i wish i could have gone! blah! someday we will all meet again! i hope you are well! what have you been up to?